Fertigation is a fertilizer application method, in which dissolved fertilizers are delivered to the crop through the irrigation system. 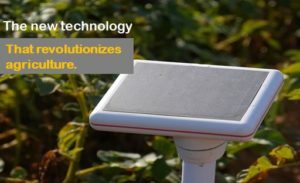 This technology provides the opportunity to apply precise rates of water and fertilizers to the crop, and therefore, if designed correctly, can be an important precision agriculture technology. Usually, concentrated fertilizer solutions are prepared in stock tanks, and are then injected into the irrigation water, using fertilizer injectors. The irrigation system can be drip irrigation, sprinkler system, pivot or different configurations of hydroponic systems. WHAT PROPERTIES OF FERTIGATION MAKE IT A PRECISION AGRICULTURE TECHNOLOGY? 1. Precise amount – fertigation allows precise and targeted application of water and fertilizers, to the root system. Unlike broadcast fertilizer application, drip irrigation allows for precise amounts of water and fertilizers to be applied in close proximity to the root zone of each plant. 2. Precise timing – nutrients can be applied at the time they are needed by the crop. In the absence of a fertigation system, it is difficult, or even impossible, to apply fertilizers when plants are larger and access to the field is limited. 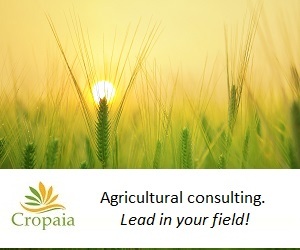 In such cases, fertilizers are often applied too early, resulting in losses of nutrients due to leaching, run-off, volatilization etc. In most types of fertigation, this limitation does not exist. Once the fertigation system is installed, fertilizers can be easily applied at the right growing stage, according to the requirements of the crop. Advanced fertigation systems can reach high-accurate application rates by using high-tech equipment, such as injectors and computerized control systems, which are carefully calibrated and adjusted. 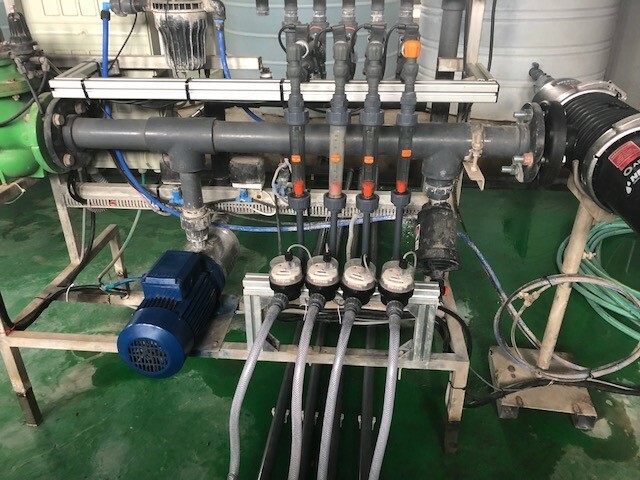 Automatic adjustment of injection ratios of the fertilizer solutions from the stock tanks to the irrigation water relies on input from EC and pH sensors, as well as water and fertilizer flow meters. In addition, more than one stock tank can be used, giving the grower the flexibility to apply different combinations of nutrients to different plots, or at different times, by adjusting a different injection ratio for each tank. Because fertilizers are dissolved in irrigation water, nutrients can be instantly absorbed by the plant, as soon as they are applied. WHAT ARE THE LIMITATIONS FOR USING FERTIGATION IN PRECISION AGRICULTURE? The limitations for using fertigation in precision agriculture are often a result of the fertigation system design. The field units, or field sections are usually pre-determined. Although each of those field sections can be managed separately, it is often difficult to respond to variations within the field section. Except of a few startups, most of the existing fertigation systems do not yet have the capability of using feedback from sensors installed in the field and adjust fertilizer rates accordingly. When the variability between fields in the farm is high (different types of crops, different growth stages, different soil conditions etc. ), having one set of stock tanks for each irrigation head is not always flexible enough in to apply precise fertilizer rates and nutrient ratios for the different field sections. To summarize, fertigation holds a potential to be considered a precision agriculture technology. By choosing the system that is most adequate to the crop and field conditions and by designing it correctly, very high precision fertilization and irrigation can be achieved.